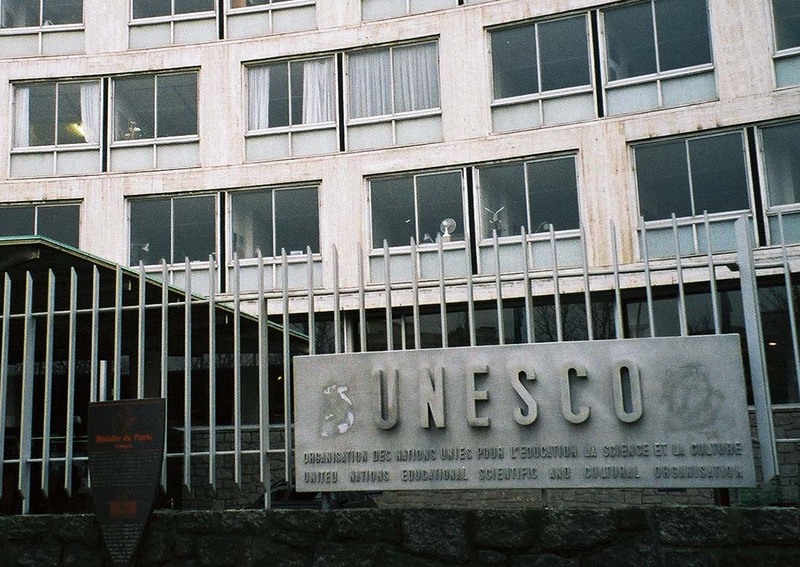 With deepest appreciation to the Small Islands and Indigenous Knowledge Section of UNESCO in Paris for completing the scans here and for providing permission to make them available. Year 1, No. 1, 1992 Spring International Journal of Island Affairs (6,911 kb in PDF). Year 2, No. 1, 1993 August International Journal of Island Affairs (10,708 kb in PDF). Year 2, No. 2, 1993 December International Journal of Island Affairs (9,527 kb in PDF). Year 3, No. 1, 1994 April International Journal of Island Affairs (8,008 kb in PDF). Year 3, No. 2, 1994 December International Journal of Island Affairs (8,780 kb in PDF). Year 4, No. 1, 1995 September International Journal of Island Affairs (9,144 kb in PDF). Year 5, No. 1, 1996 December International Journal of Island Affairs (7,238 kb in PDF). Year 7, No. 1, 1998 March New Technologies for Islands (10,025 kb in PDF). AnnÃ©e 8, 1999 February Milieux Insulaires et CapacitÃ© de Charge (9,464 kb in PDF). Year 8, No. 1, 1999 April Island Cultural Heritage (11,452 kb in PDF). Year 8, No. 3, 1999 November Tourism & Services (12,998 kb in PDF). Year 9, No. 1, 2000 July Island Governance (10,466 kb in PDF). Year 10, No. 1, 2001 January The Water-Energy Binomial (9,913 kb in PDF). Year 10, No. 2, 2001 September Island Biodiversities (9,842 kb in PDF). Special Issue, 2004 February Island Biodiversity - Sustaining life in vulnerable ecosystems (20,637 kb in PDF). Year 14, No. 1, 2005 October Biotechnology, Biodiversity and Culture (7,581 kb in PDF). Year 14, No. 2, 2005 December Resilience and vulnerability (10,372 kb in PDF). Year 15, No. 1, 2006 October Marine Protected Areas (9,940 kb in PDF). Year 15, No. 2, 2006 December Cold Islands' Tourism (9,974 kb in PDF). Year 16, No. 1, 2007 October Islands' Genetic Resources (10,115 kb in PDF). Year 17, No. 1, 2008 May Islands Sustainable Developments? (12,400 kb in PDF). Year 18, No. 1, 2009 March Islands, Research and Concepts (10,039 kb in PDF). Year 19, No. 1, 2010 October Volcanoes, Landscapes and Cultures (9,327 kb in PDF). Year 20, No. 1, 2012 September Intangible Maritime Heritage (7,894 kb in PDF). 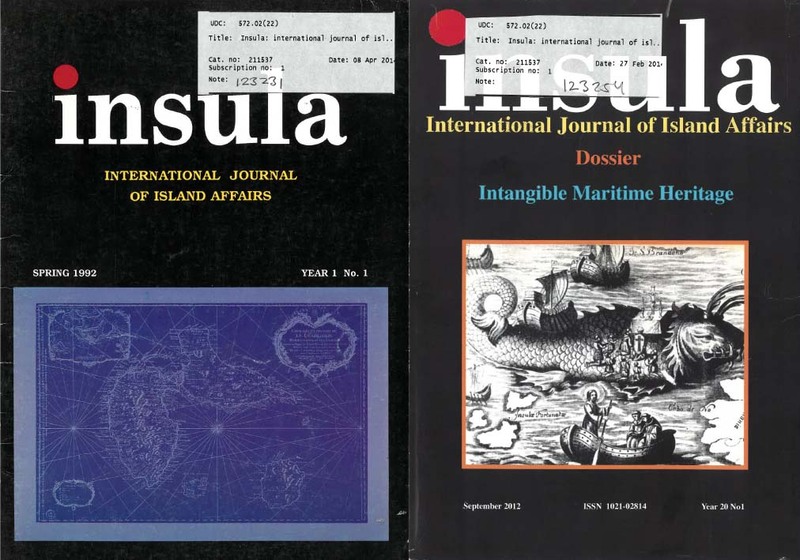 Covers of the first and last INSULA - International Journal of Island Affairs.